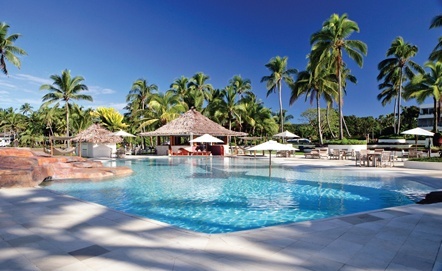 The Pearl Resort has a stellar reputation and is popular with tourists, yachties and locals alike, offering the perfect location for a spot of land loving luxury between the bustling cities of Nadi and Suva. The Marina is a restricted access area. Here, at 4m draft, you will find a total of 12 berths offering single-phase electricity. 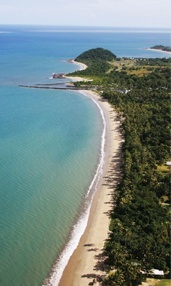 The river mouth is fairly well protected but is not a cyclone haven and must be evacuated in the event of a cyclone. The Pearl offers a range of chic accommodation options from penthouse suites to garden view rooms – perfect if you have friends or family coming to visit, or guests joining you onboard. Just ask about some of the great packages on offer, including 3, 5 and 7 night specials. You’ll find 6 fully licensed restaurants and bars on site and a state of the art waterside spa – the perfect, secluded retreat for anyone in need of a little pampering after a long voyage! In the heart of Pacific Harbour (and within walking distance of The Pearl Resort) you can take a leisurely stroll around the Arts Village – a convenient place to pick up the essentials. Here, you will find a well-stocked supermarket, bottle-shop, Post Office, bank, money exchange, doctor’s clinic, dive shop (hydrostatic tank testing available) and a selection of clothing and souvenir outlets, bars and restaurants. 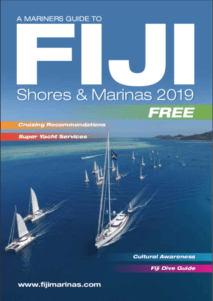 Pacific Harbour is known as the ‘Adventure Capital of Fiji’. Here you can do almost anything from diving with big bull and tiger sharks (without a cage!) to zipping through the tropical rainforest canopy. You can whitewater raft through spectacular canyons, jet ski out to deserted islands to picnic, freedive and spearfish, drive off-road buggies into the highlands to swim in the cool thundering waterfalls, surf the world famous Frigates or play a round on the Pearl Resorts 18 hole Championship Golf Course! 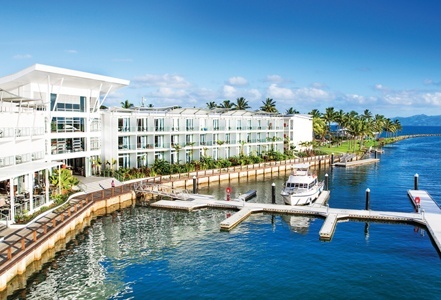 Most of the shops and activities in Pacific Harbour are within walking distance however, should you wish to venture further afield, you’ll find an convenient onsite car rental in addition to the numerous taxis and buses passing through en route to Suva, Nadi and the nearby township of Navua.